If you plan on going on a hike, you should probably take the time and money to invest in the best 3 in 1 jacket, especially if you’ll go high on a mountain. However, shopping for such a jacket can be quite overwhelming especially if it’s your first time. If you think you might not make a good choice, have a look below, because we’ve done all the hard work for you. We researched their key features, most trusted brands, as well as what others have to say about these jackets, good or bad. Hopefully, we’ll be able to help you make an informed choice. You can’t go shopping for a new coat not knowing a few things about it, and especially its important features. The jackets are designed either for men or women, with cuts specific to the gender. Kids models are also available. You can find models designed for professionals as well. These professional jackets feature underarm vents and fit the needs of athletes or experienced hikers. Usually both layers feature pockets, generally designed with a zipper. Usually the outer shell has a pocket on the chest, in addition to the wand warming ones. Sometimes, inner pockets can be found either on the shell or on the liner. These coats are generally not very long. In fact, they only reach your hip level. Regardless, they still manage to keep you protected from the elements. Of course, you need to have a jacket that will protect you from the cold. A jacket with the best type of insulation will significantly slow down the transfer of cold (or heat) and will keep you nice and toasty. Each insulation types has its own pros and cons, so you should pick one according to your preference and budget. Here are some of the best products that should be worth your time and money. 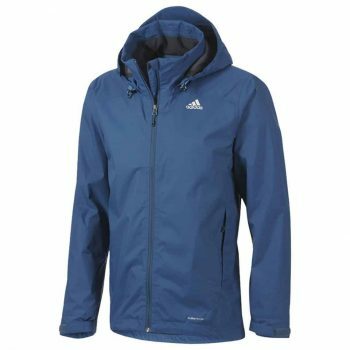 This is a versatile Adidas Outdoor Wandertag Jacket for men. It uses Climaproof fabric that protects you from the elements. The downside is that this jacket is not very breathable, nor does it have underarm zippers for ventilation if needed. Keep your belongings safe with the inner security pocket and outer zipper pockets for your hands, there are 3 pockets in total. The hood is adjustable and it adds another layer of protection and improved comfort when facing the elements. Don’t forget to check out the inner detachable jacket with padding provides additional warmth when needed. Customers liked the drawstring at the hem, the fleece lining around the neck, and the velcro at the end of the sleeves. The jacket has a tall turtleneck placed under the hood, for extra protection. They didn’t like that the hood folds up and stays put with velcro, they would have preferred a different system. Related: If you need more protection for your head, get the Adidas Eclipse Reversible Beanie. Aside from being reversible, the Climawarm technology will surely keep your head warm. This Storm Creek Parka is designed for men. The hood of this jacket is folded and hidden in its collar, and a zipper secures it. There are 3 outer pockets, 1 on the chest and two for your hands, when you need to warm them up, and all use zippers to secure your belongings. Most of those who bought this item complained it runs small and that it is also too short. Other people said it will not keep you warm enough either. You’ll also need a beanie or a balaclava if you want your head to stay warm in cold weather. The hem has a drawcord and the sleeves cuffs adjust with velcro. This feature should at least trap the body heat, and to keep you warm. The collar of the coat is high enough so that you won’t need wearing a winter scarf as well. Related: This Storm Creek Fleece Jacket for men will add that extra layer of protection against the cold, if you either need it or dislike the puffer liner of the shown coat. It has 3 zippered pockets. 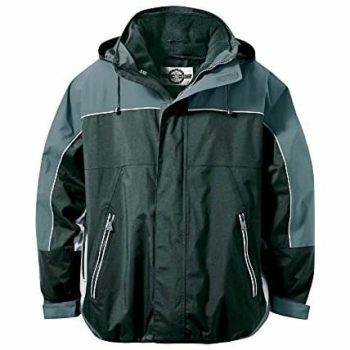 This North End Techno Performance Jacket is a waterproof, breathable, mid length jacket with full fleece lining. It features 3M Scotchlite reflective piping along the pockets, vents and yoke for high visibility after dark, or in poor light conditions. It also sports an under placket security zippered pocket. A few customers were not fond of the outer shell because it seemed larger than expected, though the fleece lining fit them fine. Another complaint was related to the sleeves of the fleece layer; they don’t attach to those of the shell, therefore they stick to you when you try to take the jacket off. Another downside is the coat’s hood: it has no lining, therefore it won’t keep your head warm. Worn over a beanie, you can be certain wind and water won’t bother you. You’ll probably dislike the lack of a chest pocket as well. The fleece lining gets attached to the shell with a zipper, just like many other models presented here. Those zippers won’t bother you either for pieces of fleece cover them. Related: If you think you’ll need more layering, perhaps a fleece vest will do the trick. Have a look at the Port Authority Vest, because it has side zippered pockets as well. 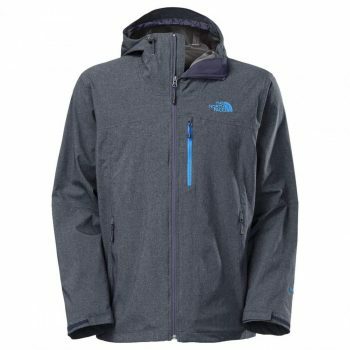 This North Face Thermoball Triclimate Jacket is a little heavy, and this is something you’ll notice as soon as you put your hands on it. Despite its weight, the coat is breathable, waterproof, and will really keep you warm. The outer shell is enough to protect you from the elements, but with the puffy liner on, you’ll feel as if you have the blanket with you at all times. Speaking of the liner, it attaches to the outer shell with zippers, and their endings are covered by a piece of soft fabric as not to scratch your chin when the coat is fully zipped up. Carrying small items or warming your hands are important factors when selecting a jacket, and this one has 3 of them. The best part is that you’ll have your headphones wire under the shell when using it. Some customers had some problems with the zipper, while other said they received another product when they ordered online, so better buy in person. Related: If you’ll go hiking and need a new backpack, why not having a look at The North Face Big Shot? It has many pockets, several ways of carrying, and is not designed based on gender. 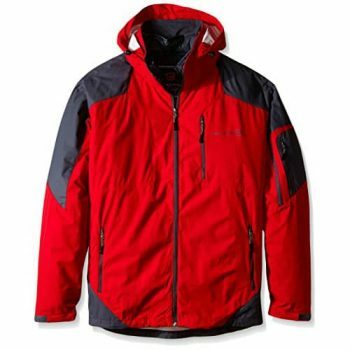 The hood of this X-Mountain Spirit Jacket can be removed, just like the inner fleece lining. The lining has a slim and stylish cut, as well as 2 side pockets. The outer shell also has side pockets as well as an additional one on the chest, all having a zipper closure. The manufacturer does warn of this product being designed with an East Asian population in mind, and westerners should order one or two sizes up. Unlike other models, the inner and the outer layer don’t attach one to the other, and this is why the inner layer looks more stylish. Several customers praised the coat for its waterproof quality, they tested it in the shower. Others really liked its hood and the hood’s drawstring. The cuffs of the sleeves and the hem can be adjusted to the desired size, thanks to the Velcro fastenings. If you get too hot, you can undo the zippers found under the arms. The outer shell of the Free Country 3 in 1 System Jacket has a removable hood, and adjustable cuffs to adjust to the right fit. A zipper closure chest pocket and another one on the sleeve give you secure storage for your small belongings. The main pockets are zippered as well, offer even more storage, and placed on the sides, so you can also use them to warm your hands up if needed. This item is marketed towards taller people, however not all customers agree with the description. You can easily wash this item in the laundry machine, in low temperature. Related: If you want a longer and more fitted coat, the Hileelang 3 in 1 Winter Fleece Jacket could be a good option. It has a hood, several pockets, and a turtleneck, almost everything you need to be comfortable and warm in winter. 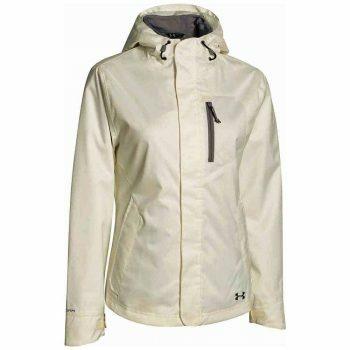 This women’s Under Armour ColdGear Sienna Jacket uses a unique ceramic coating that absorbs and retains body heat. 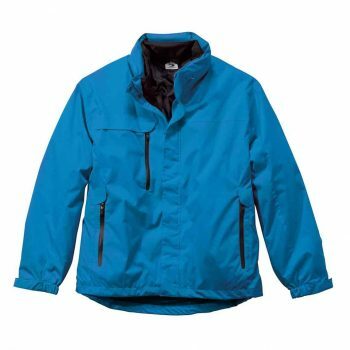 The soft and durable 2 layer shell has a drop liner and critically taped seams to seal out the elements. Zippered hand pockets and chest pocket with an audio port, make awesome additions to this coat. Worried about your head remaining unprotected? Don’t, as the generous 3 piece hood with bungee adjustment handles that just fine. Some customers found it to not fit right: it was either too large or with loose sleeves. If you want more layers underneath, this is not something to complain about. Cleaning should be done in a gentle spin and drying is preferably done on a flat surface. You get 3 zippered pockets on the outer shell and inner pocket on the fleece lining. You can keep your hands warm and some small personal items secured at the same time. 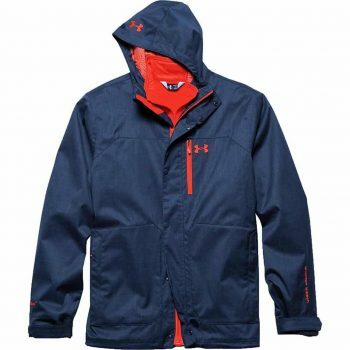 This Under Armour ColdGear Porter Jacket is the men’s version, and it uses a soft thermo conductive inner coating to absorb and retain body heat. Zip out soft fleece liner with durable waterproof repellent also known as DWR finish. This jacket’s windproof construction shields you from the elements. The shell of the jacket has 2 hand pockets and a chest pocket with a little escape for the headphones. The liner also comes equipped with the same number of pockets, and same features. All the pockets are secured with zippers. Some customers were disappointed with the poor fit of the jacket. For most the body fits well, and the sleeves are either too short or too long. Other people have had problems with the main zipper of the jacket. It seems the item fits better those with a smaller bottom. If you need a hood as well, this piece of clothing also has one. Sadly, you can’t remove it, but this why you don’t risk losing it. Related: When hiking in colder seasons, you’ll most likely need some gloves as well. The Under Armour Storm ColdGear Gloves will keep the elements at bay, your hands warm and comfortable thanks to their moisture wicking properties. From the best, you can select the jacket that most fits your needs in terms of budget, color preference, gender, and of course environment and what it throws at you. Remember that you can adapt the jacket so that it offers enough warmth and protection against the elements, as necessary. What do you look for when it comes to a new jacket for heading out into the wilderness? What’s your favorite one that you take with you all the time? If you have any recommendations feel free to leave a comment below! TOP GEAR PICKS Best 4 Person Tent: Which Outdoor Shelter is Best for Summer Camping?